As November fast approaches, our determination to share this Buddhism with others wells up as we strive to achieve our goal of 10,000 happy practitioners in SGI Canada. Our efforts to achieve kosen-rufu in Canada are an expression of our gratitude to our mentor, Daisaku Ikeda. The content of the study conference held at the SGI Canada Caledon Centre for Culture and Education was created with this in mind. 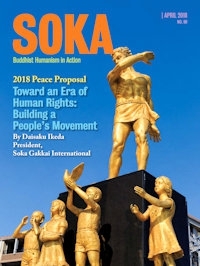 Presentations were based on SGI President Ikeda’s lectures on “A Religion of Human Revolution,” “Buddhism of the Sun—Illuminating the World” on Faith, Practice and Study, and “The New Human Revolution - vol. 1 and vol. 30, featuring his guidance during his visits to Canada. 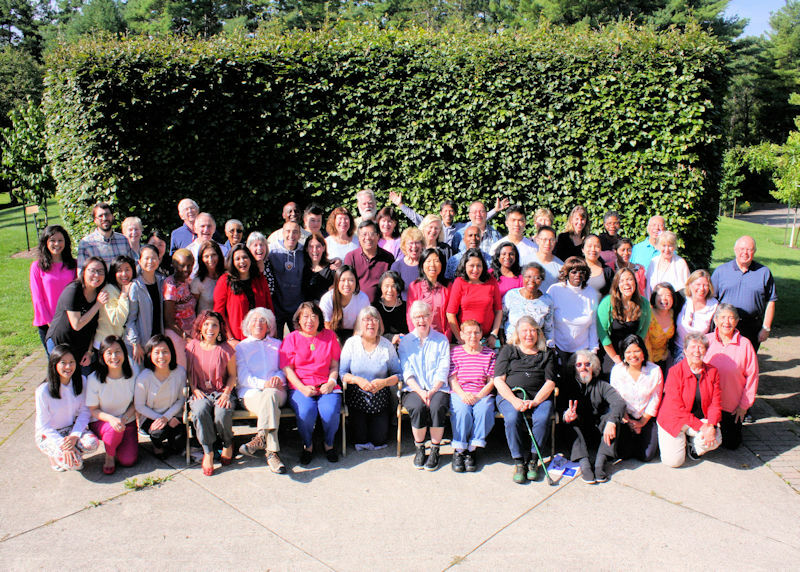 Practitioners travelled from all across Canada—from B.C. to Nova Scotia, in order to attend this last Caledon Study Conference held from September 6-9. Faith was galvanized through two hours of united chanting and friendships were forged through the small group discussions and meal time discussions. 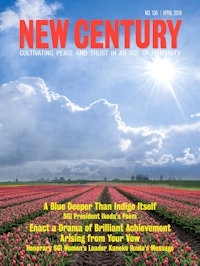 In his message to the conference, President Ikeda quoted Nichiren Daishonin’s The Record of the Orally Transmitted Teachings, “If in a single moment of life we exhaust the pains and trials of millions of kalpas, then instant after instant there will arise in us the three Buddha bodies with which we are eternally endowed. Nam-myoho-renge-kyo is just such a diligent practice.” (OTT-214). He explained that our personal resolve is what determines our happiness and victory, and he encouraged us to strengthen and deepen our prayers based on our vow. He asked us to greatly expand the network of peace and tranquility in our communities and in society. This message provides us with the blueprint for achieving our own human revolution and personal victories and our larger goal of Canadian kosen-rufu. “I experienced what it is like to fully be a part of SGI Canada. Everyone is linked by the same determination, teaching, mentor. This heartfelt atmosphere will always be in my heart. I’ll definitely make whatever effort to reproduce it in Montreal, harmonizing all the cultural differences more and more in our wonderful multilingual mosaic. President Ikeda always touches me so deeply. I’m so thankful to him and to this practice. I’ll refresh my vow thanks to this unforgettable conference and teach as many people possible to do the same.